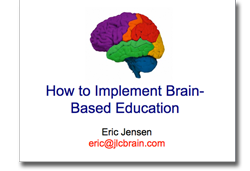 Eric Jensen has prepared a wide variety of PowerPoint presentations to help deliver a powerful presentation to help you deliver a clear concise learning experience. Your presentations will have title slides and closing slides. 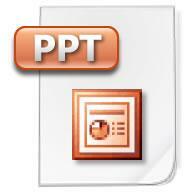 Average presentation will be 75-125 slides, depending on the topic. You may customize (in fact, you are encouraged to do so), your slides by adding your own titles, key themes, strategies, persons of interest, school pictures and activities. This is the fresh, cutting-edge 143-slide session with color, easy-to-understand science and yet still answers the question, “What do I do on Monday?” This shows links to differentiation, enrichment, learning and memory strategies. Get beautiful brain scans! It is long enough for either a 2 hour, half-day or full day session. Staff will be talking about this presentation for weeks! How can you foster better learning and student achievement? And what if there were only a few things that teachers needed to do well for classroom success? Eric Jensen has been researching instructional strategies from many disciplines: emotional, social and cognitive. 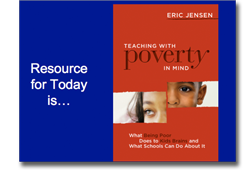 He includes the thinking of Dr. John Hattie, Dr. Bob Marzano and his doctoral work in poverty. 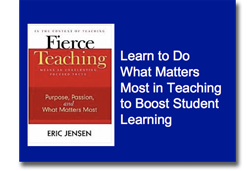 Jensen’s “Top 5” will include every key domain of learning and each type of learner. When your staff can do these “biggies” their chances for success just went up…dramatically! the instructional factor MUST be on multiple meta-analytic lists to core instructional strategies for strong research support. The effect sizes of each of the top five are all 0.60 or above. 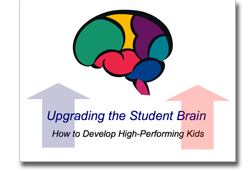 The strategies MUST work inclusively with low, moderate and high performing students at all grade levels. 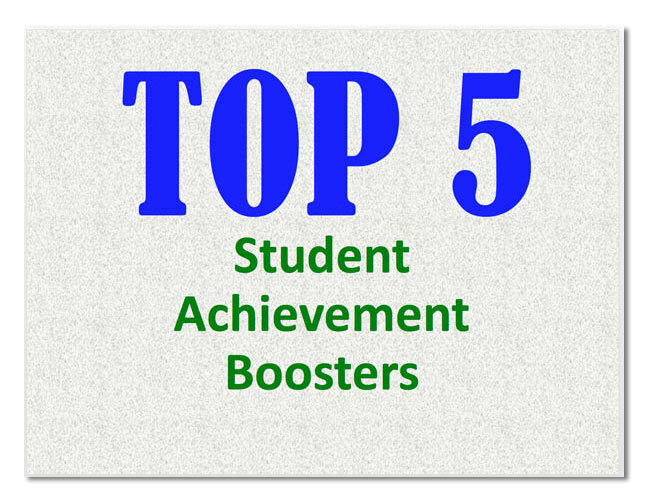 Each of the “Top 5” must be able to be implemented and used well by a teacher of average skill sets. These do not require expertise or take months and years to master. There are over 100 full-color slides. 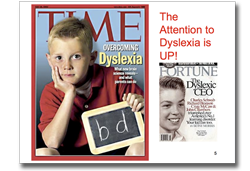 This is a “Tell-all” slide show and “The secret’s out of the bag” presentation perfect for staff developers and adult educators. The strategies can be used with students from grades 1-12 and adult. You get a 148-color slide presentation that gives you the art and science behind engaging teaching. There’s no room for excuses or failures anymore. This gives you the all-time 10 best strategies for student engagement. Expect staff to gain background and strategies to implement immediately. If you’re not using these brain-smart tools, you’re either working too hard or missing students. Do you have any students who are under performing? If so, it’s time to roll up your sleeves and rebuild their brain. The human brain has enormous plasticity and your students can learn go from Ds and Fs to Bs and As. How? You’ll learn how to improve attention, memory, processing, sequencing, hopefulness and how to develop the growth mindset. You get clear science and beautiful brain scans. 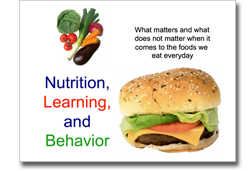 This innovative 82-slide presentation gives you ideas, science and practical strategies you can use immediately. It is best used with the book Enriching the Brain by Eric Jensen. 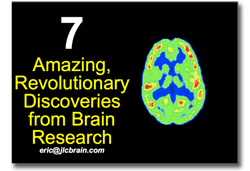 7 Discoveries: Are you curious about what’s new in the world of neuroscience? Here’s the groundbreaking 171-slide all color presentation that Eric Jensen gives. You’ll learn about the plasticity of the human brain. You’ll discover the secrets of neurogenesis. You’ll find out about allostasis, the “re-setting” of the brain’s thermostat for stress. 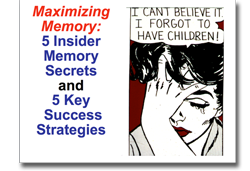 You’ll uncover the true malleability of memory and what to do about it. In short, many of the discoveries of the last ten years are featured right here on this amazing program. Now, here’s a warning: unless you have attended this session in person or have good background, this cutting edge material may be too new for you to present! Expect staff to gain background and strategies to implement immediately. 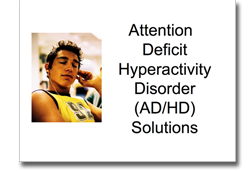 We all know that attention deficit hyperactivity disorder is a frustrating condition. 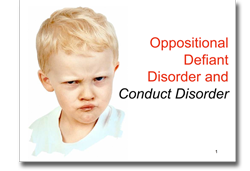 This 114-slide presentation explores the most accurate definitions, symptoms, history and causes. This detailed session has WAY MORE than you’ll need, but feel free to trim it to fit your staff. It’s chock-a-block with specifics that you can use. You’ll get dozens of the best-researched, most practical solutions. Includes brain scans. Brain-based education requires a foundation of research. This 160-slide presentation gives you the 12 core principles AND connects them to classroom practice. We’ve heard things like “The brain is social” or “Brains can change” but are these actually true and if so, what do these “truisms” actually mean? 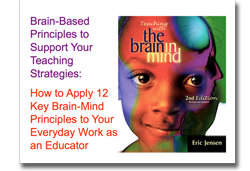 This dynamic and research-based presentation gives you the evidence PLUS it helps staff piece together the everyday, implications of teaching with the brain in mind. Great for administrators and a hungry-to learn staff. Expect staff to gain background and strategies to implement immediately. 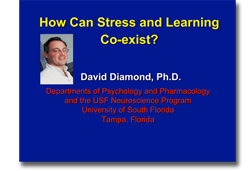 Can Stress and Learning Co-Exist? 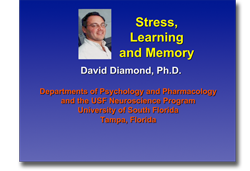 Professor David Diamond (this is not an Eric Jensen PowerPoint) of USF presents gives you a 79-slide presentation highlighting the relationship between stress and learning. You’ll discover what is stress and find out the differences between bad and good stress. You’ll find out that stress is not “out there” and learn where stress really comes from. What are the effects of stress? Can practice help us desensitize to distress? Does acute stress narrows learning focus? Can chronic stress actually damage neurons in hippocampus? Find out if glucose actually supports memory! What kind of everyday practice can reduce stress vulnerabilities? This is a solid, research-oriented presentation where everyone can learn. It is from a neuroscientist, so remember that it will be in an entirely different format (more scientific) than the other presentations. Expect staff to gain background and strategies to implement immediately. This is the single best “knock-your-socks-off” visual way to show the power of musical arts. It’s a must for all arts supporters. Expect staff to gain background and strategies to implement immediately. Are you supportive of the arts? If so, can you articulate the science behind WHY the arts, and in particular, visual arts are so necessary? If not, this presentation is for you and your audiences. When you need to make a case for visual arts, here’s the research! This 116-slide presentation lays out the scientific case for WHY the musical arts are valuable for school age students. 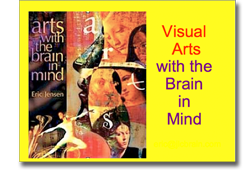 You’ll learn how visual arts can support student learning. This is a fabulous visual way to show the power of visual arts. It’s a must for all visual arts supporters. Expect staff to gain background and strategies to implement immediately. You’ll also get dozens of specific, practical strategies, listing of the best reading programs and the five key things any teacher can do immediately. Expect staff to gain background and strategies to implement immediately. 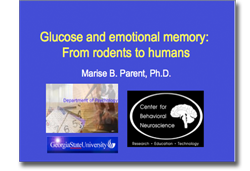 Neuroscientist Dr. Marise Parent of Georgia State University (this is not an Eric Jensen PowerPoint) reveals the amazing connections between emotions, glucose and memory. Learn if sugar is good or bad for learning and if so, how much? This colorful and research-packed presentation contains 84 colorful slides with graphs, photos and brain scans. Rated “R” for research oriented with some technical descriptions. Good for teachers with some brain background, a science class, psychology students, or moderate to advanced educator audiences. 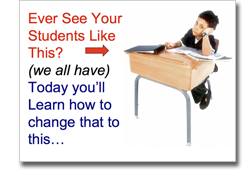 You get 79 slides and the real science behind the classroom strategies. This is a solid, research-oriented presentation where everyone can learn. It is from a neuroscientist, so remember that it will be in an entirely different format (more scientific) than the other presentations. Expect staff to gain background and strategies to implement immediately. 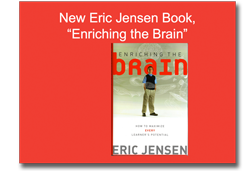 The support book recommended for this presentation is Teaching with the Brain in Mind by Eric Jensen. You’ll get a few surprises, plus some amazing cutting-edge slides of brain scans showing HOW enrichment takes place. Learn what should teachers, parents and administrators do each do to ensure enrichment takes place. Expect staff to gain background and strategies to implement immediately. 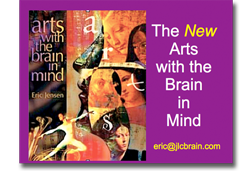 The support book recommended for this presentation is Enriching the Brain by Eric Jensen. In this compelling presentation, you’ll get the real science by those that do their homework and publish in peer-reviewed journals. You’ll learn how it affects brain chemistry, growth factors, new brain cells, learning and memory. You also get specific recommendations on how much to do every day. This is a persuasive case that you can make for any staff. 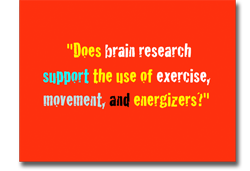 The evidence is in: more movement and more activity is usually a good thing. But… you should know the research! 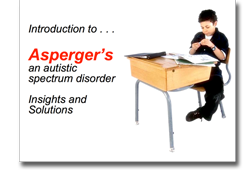 In this special 86-slide presentation, you get the best of research and the strategies. Expect staff to gain background and strategies to implement immediately. 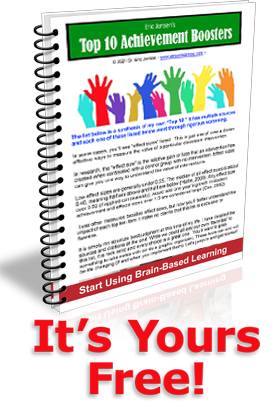 Discover how the brain actually changes and what you can do to facilitate rapid change. 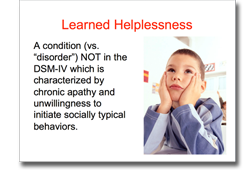 This 77 slide presentation gives a brief overview of the following: Learned Helplessness, Learning Delays, Dyslexia, drug abuse (alcohol, marijuana, ecstasy), Oppositional Disorder, Autistic Spectrum Disorders, AD/HD, Sensory Integration Disorders , Anxiety and Stress Disorder, Depression, Central Auditory Processing Deficits and Conduct Disorder. Expect staff to gain background and strategies to implement immediately. Do you have motivation issues among your staff? Are you trying to make changes in the curriculum, assessment or instruction? Some teachers are hesitant to change until they realize that they can make a dramatic difference. 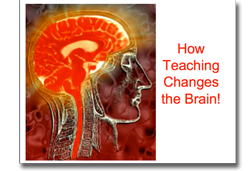 With this PowerPoint, you get a compelling case for teachers as “brain changers.” We’ve all heard that teachers can change lives; now learn how that happens every day. Discover how teaching changes the chemistry, connectivity and even cellular structure of student brains. 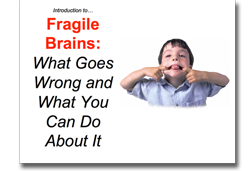 In this colorful 86-slide presentation, you’ll get the research, the brain scans and the summaries of what drives change in the human brain. This is one of the most empowering presentations a staff could ever see! 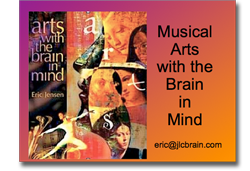 Best when used with the companion book, Enriching the Brain by Eric Jensen. These days, it’s hard to avoid hearing about the brain. But what’s actually getting implemented and how are schools doing it? This 96-slide presentation focuses on the 5 cores steps for making the transformation happen at your school. The first is buy-in. This presentation gives you the insider buy-in strategies that make staff approval a breeze! Next, your staff needs to tie it into something. You’ll see simple examples of how to do that, too. Your staff will also need a research base or foundation for the process. 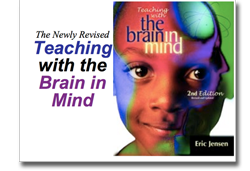 This gives you the core principles that will support the successful teaching with the brain in mind. Teachers need to make connections, too and this shows you how. Finally, you’ll need the action steps. Learn how the top schools make it happen and make it happen at your workplace, too. Discover the five insider secrets of how our brain makes and stores and retrieves memories. Learn about false memory, photographic memory and how to improve your own. 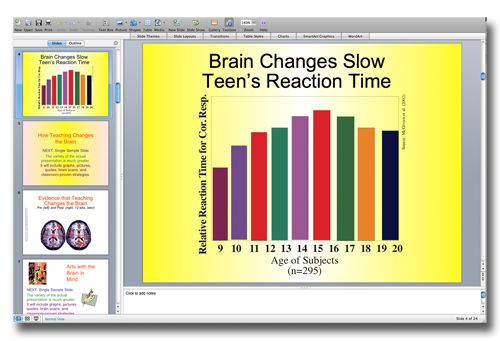 This 109 slide colorful presentation combines the science of memory with the real practical side of everyday teacher and student challenges. Discover how to empower your students and staff to remember much more and have fun doing it. The support book recommended for this presentation is The Great Memory Book by Karen Markowitz and Eric Jensen. This dynamic 97-slide presentation gives you the issues, causes and solutions with amazing up-to-date clarity. Expect staff to gain background and strategies to implement immediately. You get an engaging and colorful 99-slide presentation is packed with both research and practical strategies. New brain research tells us how the brain changes and what you can do to be ahead of the game. Expect to learn how to discipline better, motivate better and improve student achievement. 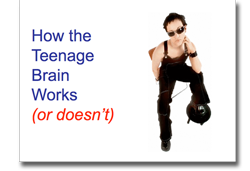 Learn about how the teenage brain is very different from that of a child or an adult. Discover the 5 areas of vulnerability, learn how teens are influenced by stress, rewards or risky behavior. Find out their sensitivity to rewards and their inability to read or manage emotions. Expect staff to gain background and strategies to implement immediately. Perfect for parents or teachers. so remember that it will be in an entirely different format (more scientific) than the other presentations. Here the focus is on a simple premise: we all get stressed in life, so exactly how much stress is good for learning and how much is bad for it?